The Olympics are a time when athletes get to participate in events that showcase the athletic talents and abilities that they have a worked a lifetime to perfect. It is weeks of events that people love to watch, participate in, and celebrate with our athletes. 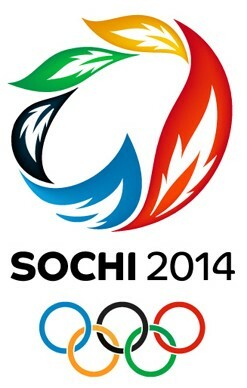 The question is…How can you, as a business, participate in the Olympics, and make it relevant to your marketing plan? The first thing you need to do is to get prepared for the games. Set up monitoring. Set up a monitoring plan that will keep track of what is trending. What is happening? What are people talking about? What are they most interested in? Do some research. Focus on areas of the games that are most relevant to your company. What events, teams or athletes align with your brand? Which ones make sense for your brand to comment on? Now you need to determine how you can truly participate in an effective way. Don’t post stale content. Posting a congratulations to the gold medal winners is probably not the most effective, as those interested in the Olympics are most likely already aware of who the winners are. Post reactive content. Make sure to post content that reacts to the conversations and topics that are trending. The Olympics are quite simply news, so they are constantly changing, and you must be ready to also. Prepare themes. Although you don’t want to prepare actual posts ahead of time, you can prepare themes you would like to focus on for your business. Some branded hashtags that are relevant could be a good thing to prepare as well. You want to make sure that you aren’t posting content that will get you counted out by your viewers. Stay focused. You need to make sure that you keep your content focused on your brand. Posting irrelevant content will only serve to turn your readers off. Don’t try to force content to “fit” with your brand. Avoid political statements. There has been a large amount of controversy surrounding the Russian Winter Olympic games, and that is probably a topic you want to avoid. You want people to look at your brand in a positive light, so focus on the positives rather than the political negatives. The Olympics are a time for countries to celebrate their athletes and all of the achievements they accomplish. It is a time full of pride. If you keep this in mind, be respectful, and show your pride along with the rest of the country your audience will appreciate it, and you should be able to effectively market your company throughout the Olympic games.